The publishing industry is changing rapidly, and there are more options for authors than ever before. 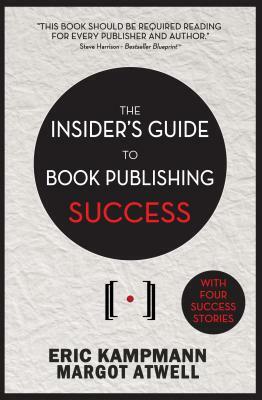 Should you find an agent and search for a traditional publishing deal or consider self-publishing? Should you print hardcover copies or opt for an ebook-only launch? Should you hire a publicist? This easy-to-read, nuts-and-bolts guide covers everything from what to look for in? a contract to how many copies to print. Some of the topics covered are choosing a publishing strategy, the editorial process, design, printing, sales and distribution, marketing and publicity.? Eric Kampmann has worked in book publishing since 1970 at Viking, St. Martin's, then Simon & Schuster. He has worked with independent publishers since 1981. Eric is currently the President of Midpoint Trade Books, a sales and distribution company for independent publishers which he co-founded in 1996. Eric has also taught book publishing courses at Harvard, Columbia, Hofstra, and NYU. Margot Atwell has worked in publishing since 2003. She is also a freelance editor and book reviewer, and has written for publications such as Publishers Weekly, Publishing Perspectives, Moviefone, Five on Five, and Derbylife. She is a graduate of Smith College, where she founded and edited Labrys, a journal of art and literature.